You’ve worked hard and played harder. That’s the mantra you’ve kept all these years. And to keep your mantra amid your fast-paced work and lifestyle habits, you need to have a trusted digital device, an on-the-go, work-and-play companion that will never let you down. The new Acer Aspire F series of laptops may be that aspirational premium digital companion you can bring with you anywhere. Your daily grind in and out of the office will become sophisticated, powerful yet playful while using a device you can be truly proud to showcase any which way you like, anywhere you choose. Possessing enviable hardware inside such as 6th generation Intel Core "SKY LAKE" processors, NVIDIA GeForce GTX950M graphics card with GDDR5 VRAM and DD4 RAM, all enclosed in a hardware compartment with RAM door for easy servicing, the Acer Aspire F series laptops boast of equally efficient software that will make your daily computing as seamless as possible. The Acer Aspire F laptops will definitely be easy on the eyes and pleasant to the ears whether you’re in or out of your office with its Acer TrueHarmony™ technology for that immersive and admirable audio quality great enough for listening to your fave music or audio presentations. The Acer BluelightShield technology, on the other hand, lets you adjust the screen’s blue light emission so everything will be easy on your eyes despite extended periods of use. And for business users out there, you’ll enjoy the Acer Aspire F series laptops for virtual face-to-face meetings with colleagues, friends or family because of its Skype-optimized hardware. Webchats thus became even more realistic and pleasurable because of crisp and clear communication, made even better using its high-dynamic range webcam, especially in a low-light environment. Enjoy a long day worry-free of your laptop’s battery since the Acer Aspire F series of laptops are equipped with ample power for prolonged, everyday use. Connecting to the internet is likewise no cause for worries with its 802.11 ac MU-MIMO technology for blazing fast wireless connectivity, while its USB Type-C port allows you to transfer files, whether videos, office documents, pictures and what-have-you’s in a jiffy. Here’s something that’s even more interesting for those eyeing an Acer Aspire F series laptop. Buy any Acer Aspire F series (F5-573G-780B or F5-573G-787N ) laptop at any participating store from May 15 up to June 30, 2016 and you get a 3-Year Warranty for your unit. You also get an Acer Liquid Leap Active Smartwatch for FREE! For those who live an active, on-the-go lifestyle, the Acer Aspire F and the Acer Liquid Leap Active Smartwatch is such a perfect pair for you. The inventive Acer Liquid Leap Active Smartwatch comes with a 1-inch OLED (128 x 32) touchscreen display and completely compatible with Android 4.4 systems and above, iOS 7, iOS 8 and Windows 8.1. It is IPX4 waterproof certified and can last 5-7 days on a full charge. To claim your Acer Liquid Leap Active Smartwatch, you just have to fill out all necessary information in the Promo Claim Form. Present this together with the Official Receipt, cut-out of Box Serial Number, plus two (2) valid IDs at any authorized Acer redemption center. To avail the 3-year warranty, simply register between May 15 to July 15, 2016 by emailing the proof of purchase, first name, middle initial and last name, contact number, home address, Serial Number of purchased qualified laptop under the promo, plus digital or scanned copies of the Original Receipt, laptop box Serial Number and two (2) valid IDs to threeyearwarranty2016@acer.com. 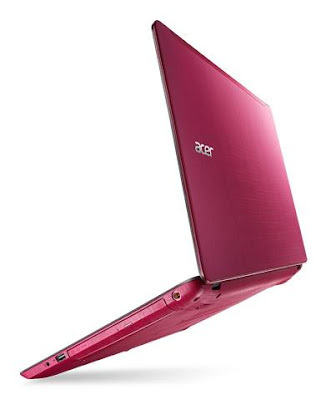 You will receive a Confirmation Email with 3-year Warranty Confirmation Number, list of Acer Customer Service Centers and authorized service providers, and a verification call from Acer Customer Care. When claiming your warranty, bring a printout copy of the confirmation email and present two (2) valid IDs to the Acer Customer Service Centers and authorized service providers indicated in the email. For more about the Acer Aspire F series and other Acer innovative products, go to www.acer.com.ph, follow Acer via Twitter (twitter.com/acerphils) or www.Facebook.com/AcerPH.